I received the sheet back from Microscale approximately 3 weeks earlier than expected. I'm finishing the last of the placement guides this weekend and will begin shipping on Thursday, the 27th of September. For all orders other than OCONUS/HI/AK (Overseas, Canada and Mexico), please email me directly to place your order at : flyingleathernecks@att.net . Apparently the version of Volusion I use doesn't support overseas orders! Going to fix that on Monday hopefully. 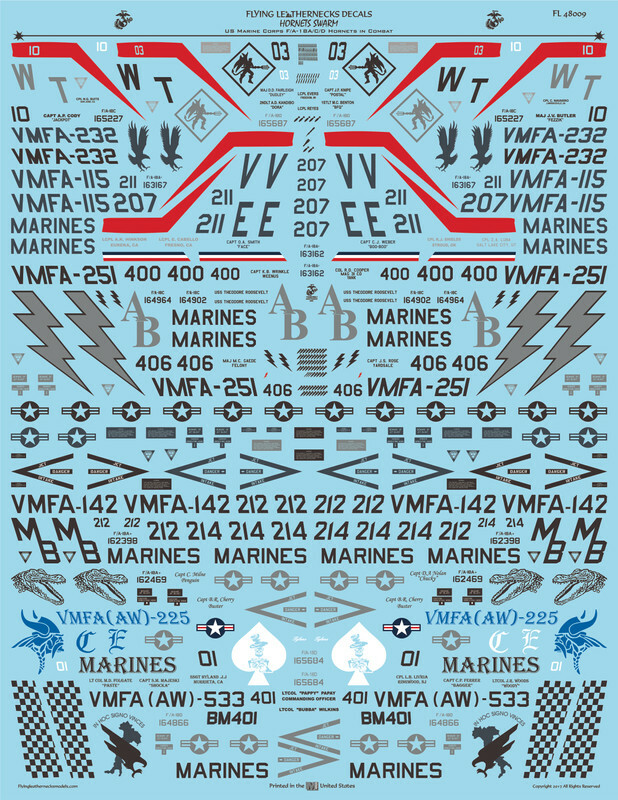 and the remaining MARINES, intake warning chevrons and national insignia. as well as Andy Walker of the RAF for their assistance with reference photos and notes on these aircraft.